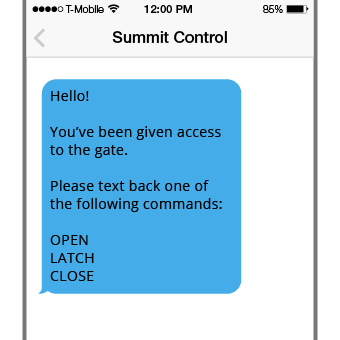 Text is sent from Summit Control to your phone. 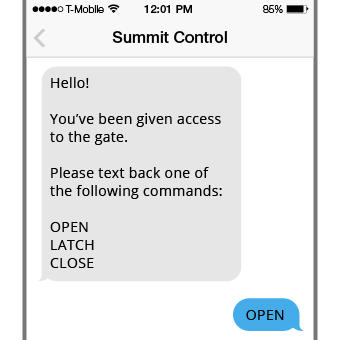 Respond to the text message with the open command. 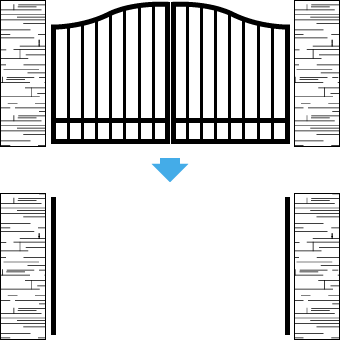 Ascent receives the command and opens the gate.